Visit the official website for MGU CAT and click on the link 'Apply Online'. Create login account using email ID and password. Click on Continue button. Upload scanned copy of photograph and click on the Next button. Pay the application form fee and click on the Submit button. Take the printout of the submitted application form for further use. Step 1: Go to the official website of the Mahatma Gandhi University 2019 and click on 'Apply Online' button. Step 2: Create your login account by providing a valid email ID and password. Before continuing forward don't forget to save the details. Step 3: Now the MGU CAT 2019 application number will be generated for future reference. Note down the MGU CAT 2019 application number and click on the Continue button. Candidate will get login id and password via SMS and email.The candidate has to remember his/her login credentials to login the page which keeps updating every time. Step 4: Upload a valid, clear copy of your recent color passport size photograph and click on the next button.The maximum size of the JPG format image must be 50 KB. Step 5: Enter all the details of basic educational qualifications in the next step. Step 6: You will now get an option to select the course of your choice and continue to the next step. Step 7: After all the required information is filled, make the payment of registration fees as given. The payment can be made online by credit/ debit/ cash cards or through internet banking. Step 8: Once the payment is successful, go once again through the MGU CAT 2019 application and finally submit it. Printout: Candidates are requested to keep a printout of the MGU CAT 2019 application for future reference. Those candidates who don't have any of the above facilities can register their applications and remit fees at the nearest Akshaya Centre. 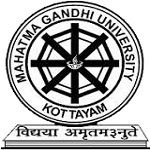 All those candidates who are applying for the M.Ed program in Mahatma Gandhi University need to submit a hard copy of their respective application form along with self-attested copies of the requested documents. For other courses, this particular step of submission of hard copies is not required. Official Website: Go to the official Website of the MGU and click on Application for Foreign Candidates. Download: The Candidates can download the application form and Start Filling.